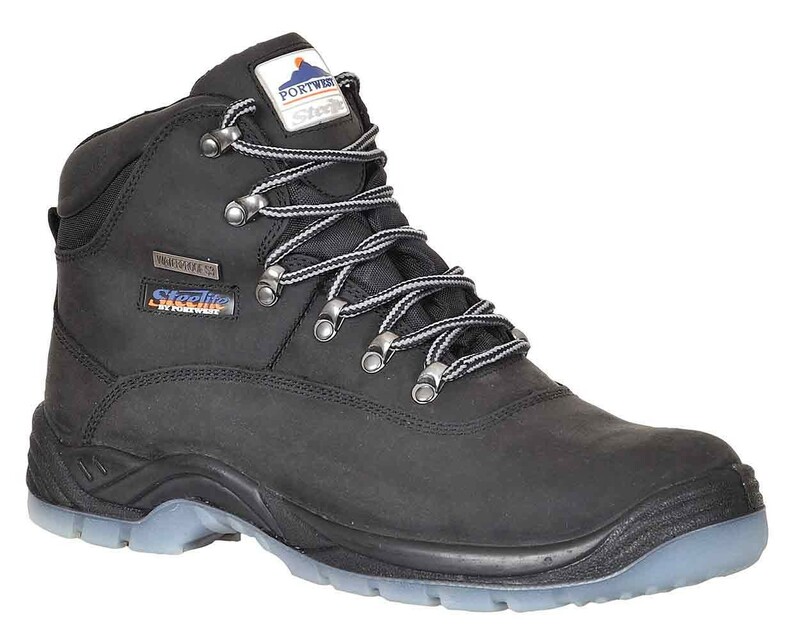 A breathable and waterproof S3 Safety Boot from Portwest. Ideal for use in all conditions, the Portwest FW57 features a waterproof and breathable membrane that offers protection and comfort whatever the weather. It's range of safety features include, steel toe caps, steel midsole, anti-static. The durable PU/ TPU outsole is resistant to oil, slips and heat up to 200 Deg C. An energy absorbing heel offers comfort. Cow Nubuck leather. EN ISO 20345.